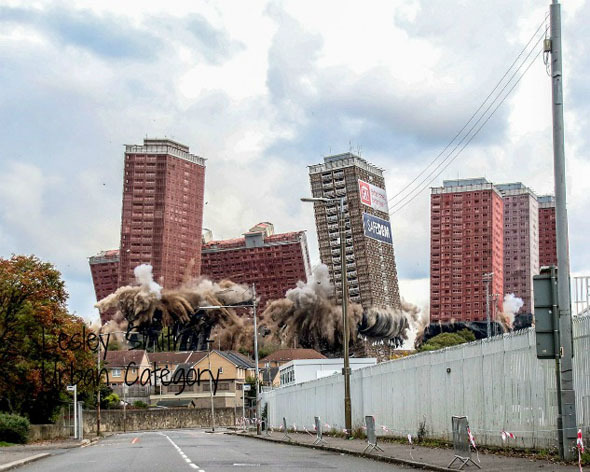 Lesley Smith, whom many of you will know from GDPU meetings, has recently won the Urban Category in Landscape Photographer of the Year 2016 with her image of the demolition of the Red Road flats. Apparently she waited five hours to get the image as the time for demolition was put back several times but she refused to budge from her chosen spot - her persistence obviously paid off. The image was taken with a Canon 7D MkII, at f5, 1/1250, ISO 1000 and 37mm. Lesley is heading to London on 21 November to meet Charlie Waite and collect her prize money of £1000 plus a signed book. Lesley started photography in 2012 and joined East Kilbride Camera Club in September 2012. I'm sure you will all want to congratulate her on her success. Well done Lesley!